About Our Company - Hemsing Designs, Inc.
Hemsing Designs offers a variety of services including Web Hosting, Web Design, Application Development, Support and Maintenance, Consulting Services and Search Engine Optimization. Prior to founding Hemsing Designs, Rick was a consultant architect for HP Enterprise Services (formerly EDS) where he designed, developed and supported web applications and sites for commercial and government clients. He creates customized solutions that span numerous industries including aerospace, government, healthcare, technology, dog rescue, higher education, and non-profit organizations. We provide hosting packages for your site or application. Included in your hosting package are site monitoring (availability), security monitoring, backups and system updates (WordPress, themes, plugins). This frees you to manage the content of your site without the hassle of keeping the back-end software up-to-date. We do that for you. Too busy to make your own content updates? We provide content support services and are there when you need an update made. 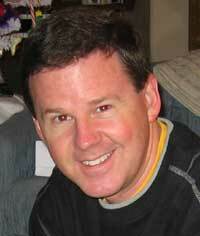 Rick graduated from James Madison University with a Bachelor’s degree in Management Information Systems. Rick has done work for Airbus, HP Enterprise, Central Research, Color Me Beautiful and many other large businesses. He also specialize in small businesses and non-profits organizations like Jacks Galore Rescue, Russell Rescue, the Bridge Breast Network, Cheers Sports, Thistle Ridge Terriers, VJRTC, JRTCA, AWTA, Garage Doors and More. You can view our portfolio of web sites. © 2019 - Hemsing Designs, Inc..